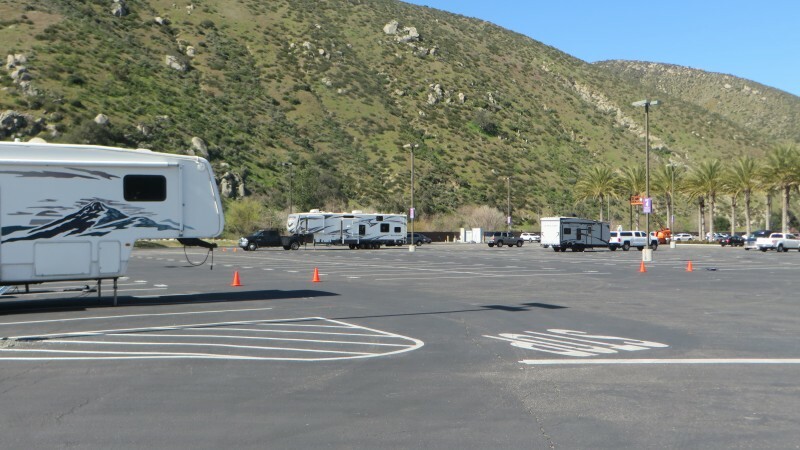 Good overnight parking - buses during day and just one truck came for a night. Two lane roads getting here with elevation changes of 1,000' but was fine for our 33' 5th wheel. Good casino with slots, blackjack, PaiGow, baccarat, poker and some other card games. Craps is played with cards -- we didn't like this game. About 20 min. to Escondido for grocery, fuel is available on site but price is high. Security covered parking lot often but there was no shuttle just a 100 yard walk to doors. No antenna tv but good phone. We liked this very much (after getting here) and would certainly come again even though it is a bit out of the way. Visited on June 5th. Parking area confirmed to be large, level, well lit, walking distance from the casino, with shuttle service and security patrolled. Do not park here on a Saturday night…they have a gangsta rap party at the pool, right across from the only lot allowed to be used by RVer’s, the party started at 9pm sharp and did not end until 2am sharp no way to get any rest. Visited Harrahs at Rincon Valley. California. No problem staying overnight. They welcome the overnighters - just have to camp in the paved parking lot that the buses use but they are gone at night - just coming and going all day. Only one truck was there during the 24 hours we were visiting. Quiet at night. First time visitors receive $20.00 in free slot play and $20.00 food coupon (per person)-just sign up for a Rewards card. We had Harrah Rewards cards from Reno but they still gave us the money & food coupons because it was our first visit to this particular casino. Had GREAT food in the Cafe - large portions - had enough food for 2 meals each. Have a Poker room and table games. Happy Hour in the Sports Bar had good prices - just did not have any food the night we visited. They are building an amphitheater where they presently allow overnight RV parking. They still allow parking unless they are having an event. Again you should call ahead to make sure. 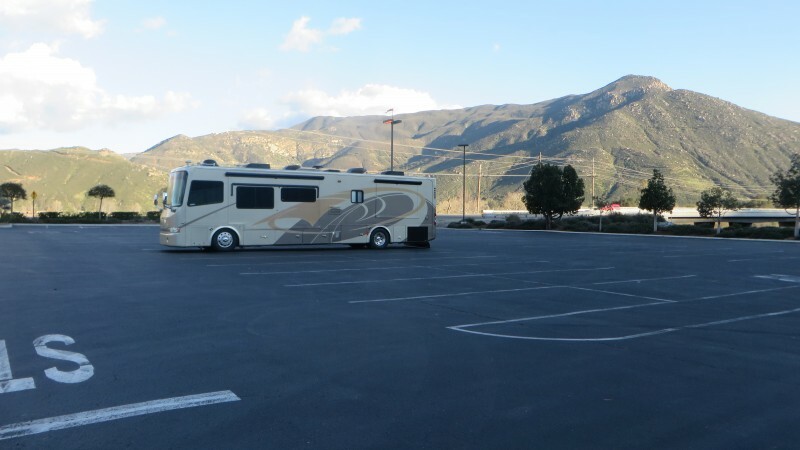 I just returned from a 3 night stay in my motor home at Harrah’s Rincon in Valley Center California. 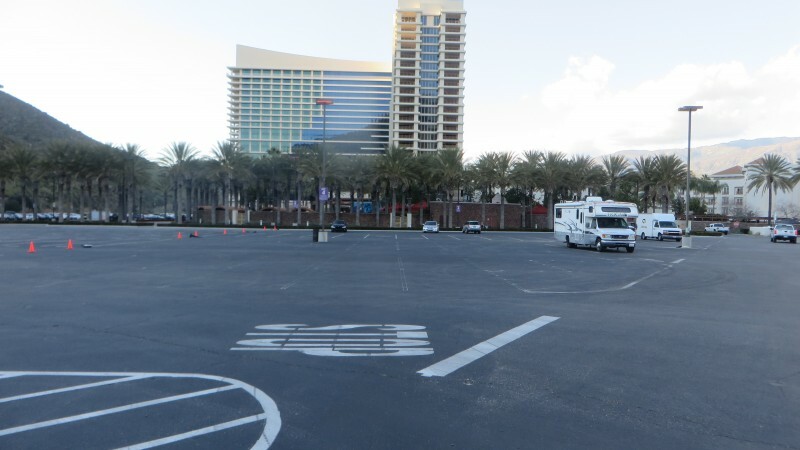 Harrah’s had a huge parking lot off to one side that seemed to be where the big rigs, buses and RV’s were parked. There were plenty of spaces and I found an end spot so I could put my slides out and not intrude on another space beside me. Not that it really mattered; the lot was about 10% full. I did find it amusing though when a big rig parked two spaces away from me for a night. Noise doesn’t bother me so it was just kind of funny. I went into the casino and asked them if it was okay to stay in my RV overnight and they said it was no problem at all. The casino was much bigger than the previous one and had an excellent assortment of games in all denominations. I stayed in the parking lot with my jacks down, slides out and generator running at times for 3 nights without any problems. Although there wasn’t any security present to speak of, I felt perfectly safe. If you’re looking for an RV friendly casino, this is the place to go.